​Trust the Experts. Every Repair is backed by a factory authorized warranty. We don’t just repair your blower. We tell you what went wrong to keep repetitive failures down and your equipment running. 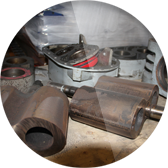 We work with you to institute any corrective actions and lower your downtime. INOHVA has been a Gardner Denver factory authorized service, repair, and warranty center for 30 years. All our technicians receive initial and ongoing factory training to ensure they are current with the latest parts, equipment, and repair techniques. 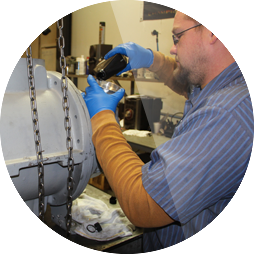 In addition to Gardner Denver blowers, we repair all makes and models of positive displacement blowers, rotary airlocks, and centrifugal blowers. 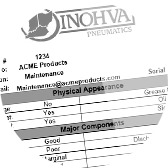 Every INOHVA repair comes backed with a warranty. Having blower trouble or looking to change your existing system? Our sales engineers are available for on-site consultations, troubleshooting, and energy audits. We can help optimize your current system or help design a new system. Pack up your blower. We will send you a return form and RMA, and we will send a truck come and get it. Any known reason for failure or signs? 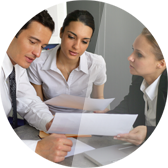 We want to resolve your problems and help you avoid future issues. Get in touch today!